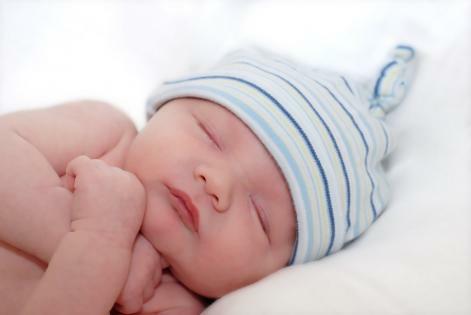 Research at the University of Adelaide has shed new light onto the possible causes of sudden infant death syndrome (SIDS). In a world-first study, researchers in Adelaide University's School of Medical Sciences have found that telltale signs in the brains of babies that have died of SIDS are remarkably similar to those of children who died of accidental asphyxiation. "This is a very important result. It helps to show that asphyxia rather than infection or trauma is more likely to be involved in SIDS deaths," says the leader of the project, Professor Roger Byard AO, Marks Professor of Pathology at the University of Adelaide and Senior Specialist Forensic Pathologist with Forensic Science SA. The study compared 176 children who died from head trauma, infection, drowning, asphyxia and SIDS. Researchers were looking at the presence and distribution of a protein called β-amyloid precursor protein (APP) in the brain. This "APP staining", as it's known, could be an important tool for showing how children have died. This is the first time a detailed study of APP has been undertaken in SIDS cases. "All 48 of the SIDS deaths we looked at showed APP staining in the brain," Professor Byard says. "The staining by itself does not necessarily tell us the cause of death, but it can help to clarify the mechanism. "The really interesting point is that the pattern of APP staining in SIDS cases - both the amount and distribution of the staining - was very similar to those in children who had died from asphyxia." Professor Byard says that in one case, the presence of APP staining in a baby who had died of SIDS led to the identification of a significant sleep breathing problem, or apnoea, in the deceased baby's sibling. "This raised the possibility of an inherited sleep apnoea problem, and this knowledge could be enough to help save a child's life," Professor Byard says. "Because of the remarkable similarity in SIDS and asphyxia cases, the question is now: is there an asphyxia-based mechanism of death in SIDS? We don't know the answer to that yet, but it looks very promising." This study was conducted at the University of Adelaide by visiting postdoctoral researcher Dr Lisbeth Jensen from Aarhus University Hospital, Denmark, and was funded by SIDS and Kids South Australia. The results have been published in the journal Neuropathology and Applied Neurobiology. "This work also fits in very well with collaborative research that is currently being undertaken between the University of Adelaide and Harvard University, on chemical changes in parts of the brain that control breathing," Professor Byard says. Baby products made with love for the new arrival.